Be careful to secure the electric cables so that no tension is placed on them! 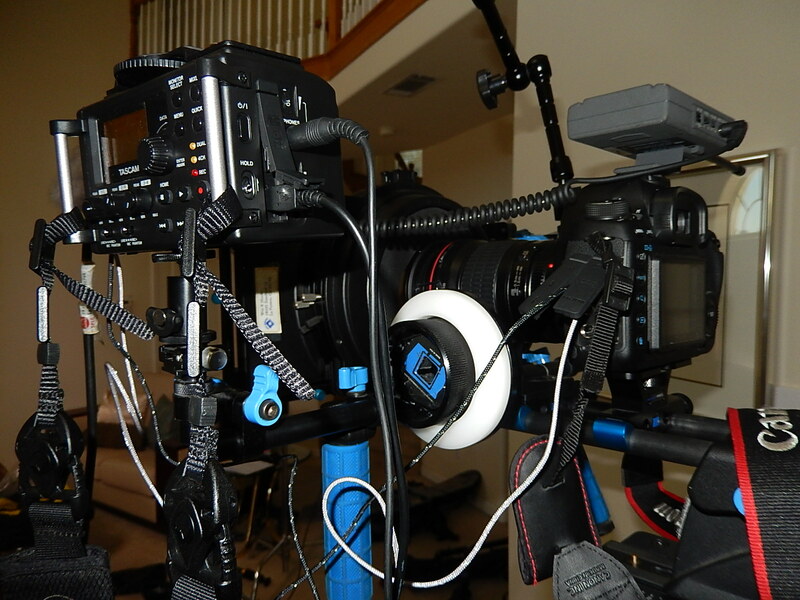 I’ve been using this unit alone so far, not integrating with the Zoom H4N using the latter as an XY stereo microphone input, and with the Canon 5D Mark III camera which has a headphone jack. 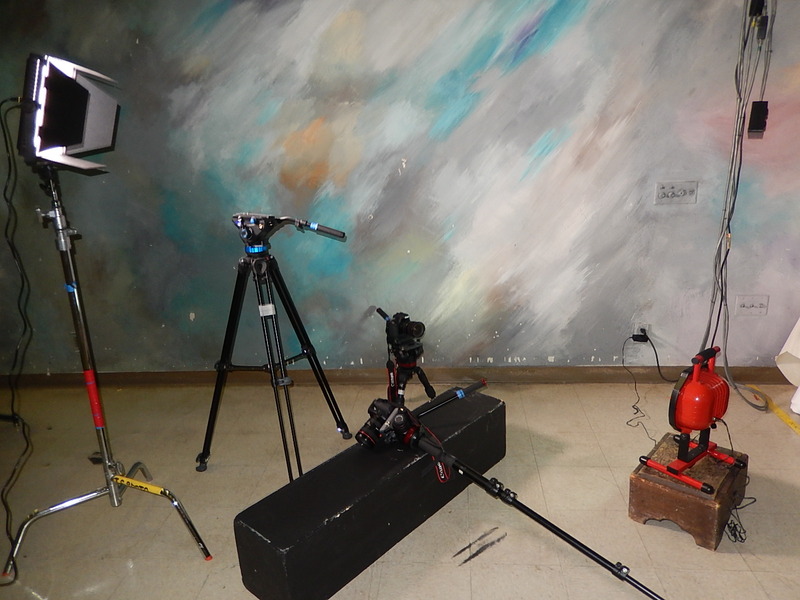 This jack has been used as a camera-out jack to connect to the DR-60’s CAMERA IN jack, allowing very intuitive and excellent review of the mixed audio files sent to the 5D3 from each take while reviewing the corresponding video clips. 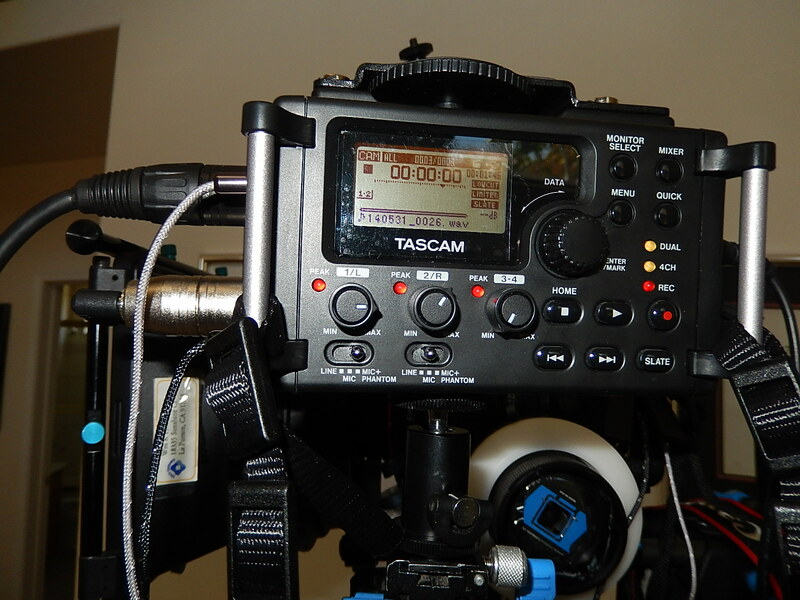 This feature, internal adjustable audio slating and the highly sensitive pre-amps have already made the Tascam my primary recorder for documentary and narrative film production (EFP). The large number of buttons make diving into menus much less frequent. 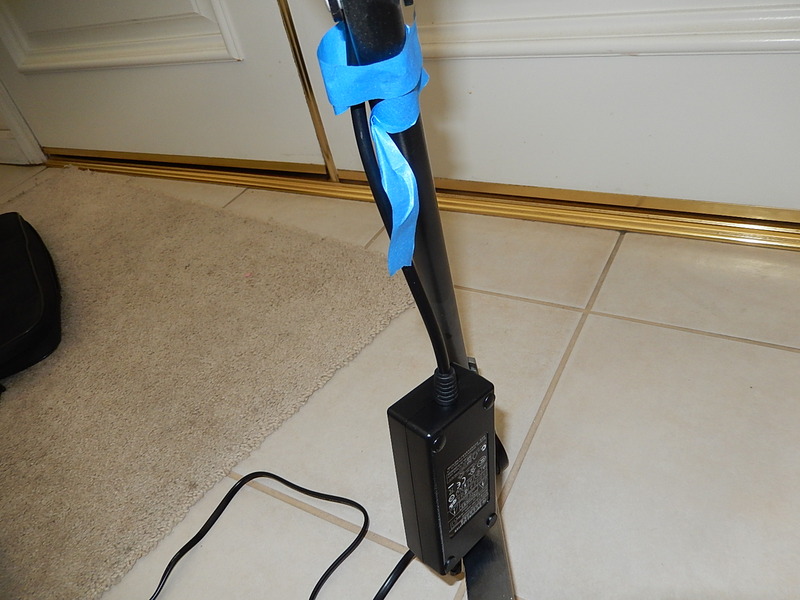 A very important issue is the ability of this unit to independently assign phantom power to microphones- so that I can revert to a preferred setup of a powered Rode NTG-2 shotgun while mixing with other mics which do not need phantom power or might even be damaged by it. 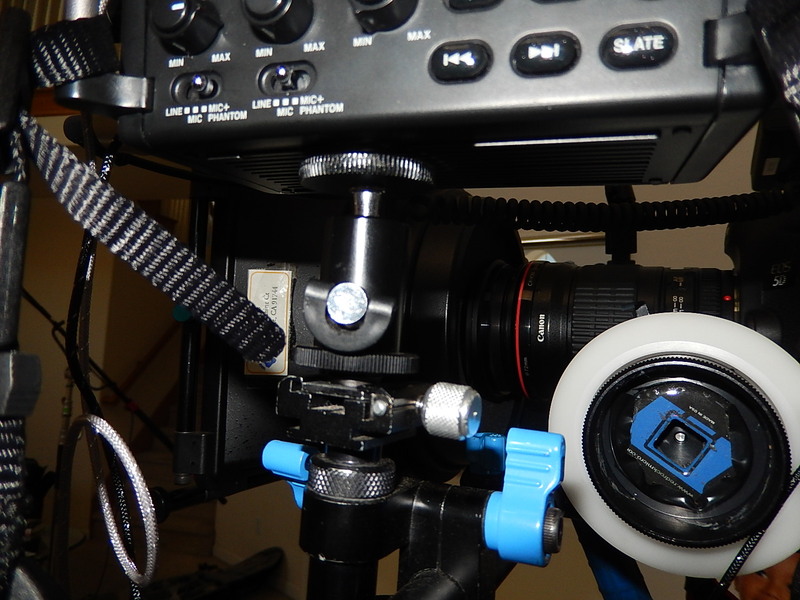 The XLR inputs are locking type and access to the SD media card is very easy- both upgrades from the Zoom H4N. Yet another much-appreciated feature is the automatic revert-to-MIX monitoring when switching from listening to the camera’s files to resuming recording- a real timesaver, as you don’t end up having to possibly redo the take because the DR-60 was still on CAMERA IN monitoring!!! I do wish that the buttons were backlit for low light, but consider that a minor issue. 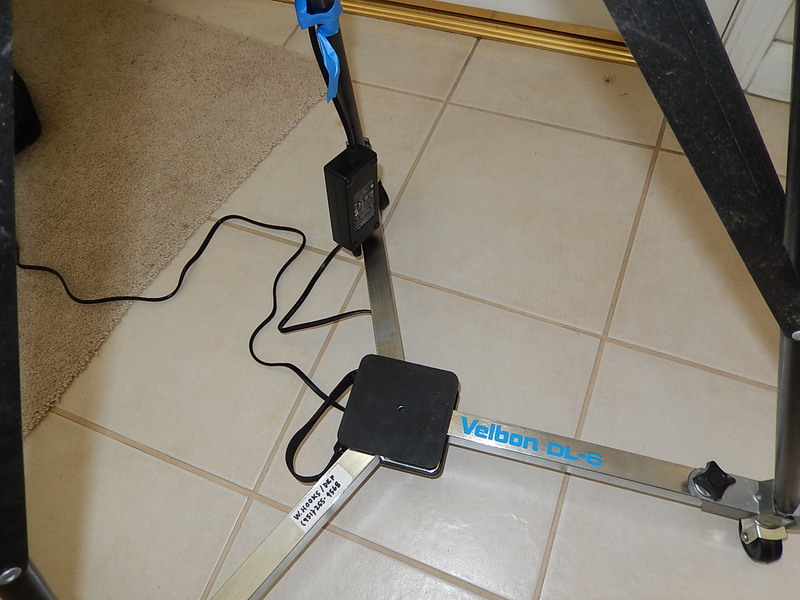 For conservation of battery power, I obtained an AC adapter easily (driving directly to the warehouse in Carson, CA) and it appears to function very well so far. 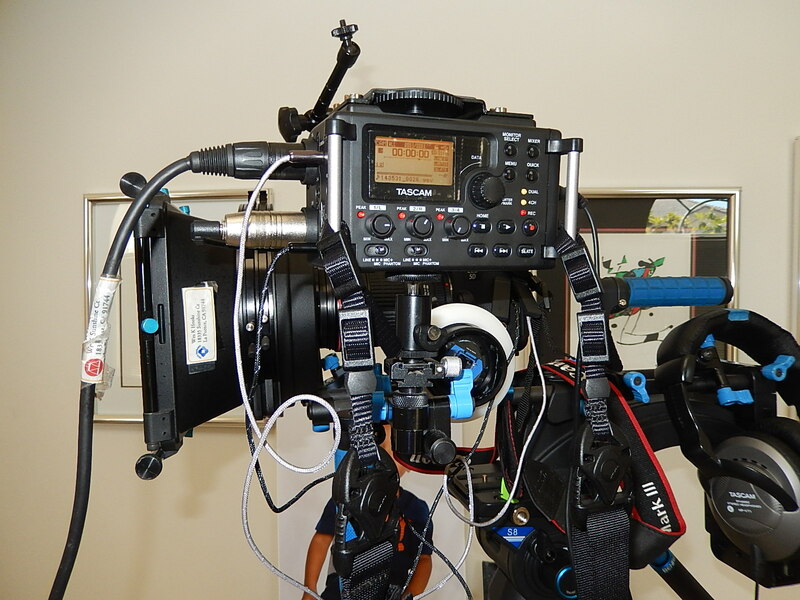 I would usually default to the H4N for field location scouting, recording at lecture settings and routine note-taking / EFP simply because of its XY microphones. 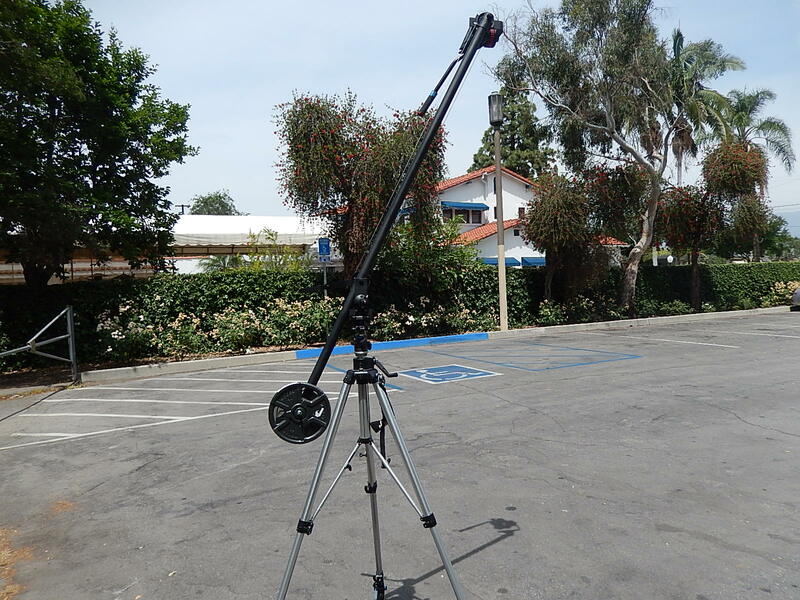 Either may be used for travel because of their compact, lightweight form factors. 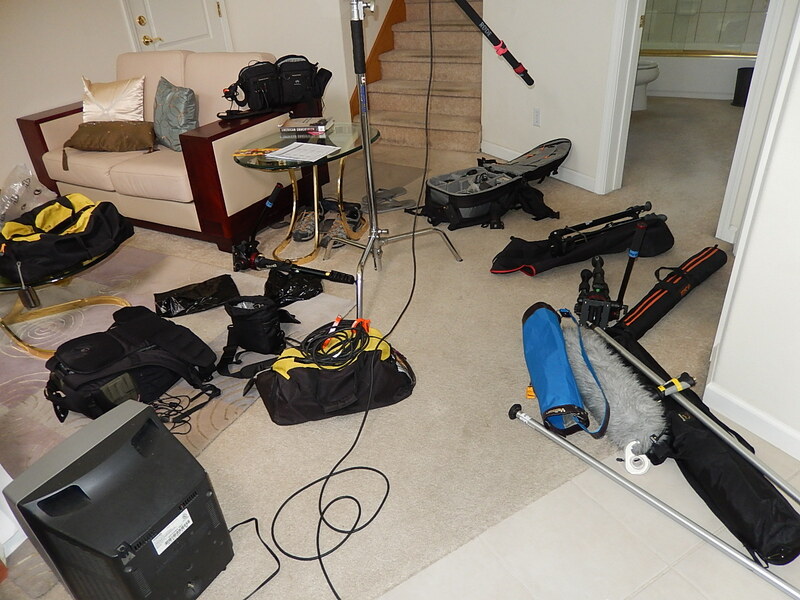 The images included show the DR-60 on a RedRock Micro Cinema rig with Canon 5D3, 135mm f/2 L lens, Rode NTG-2 shotgun and Audio Technica 88W wireless lav microphones; the wireless receiver is on the camera’s hot shoe. 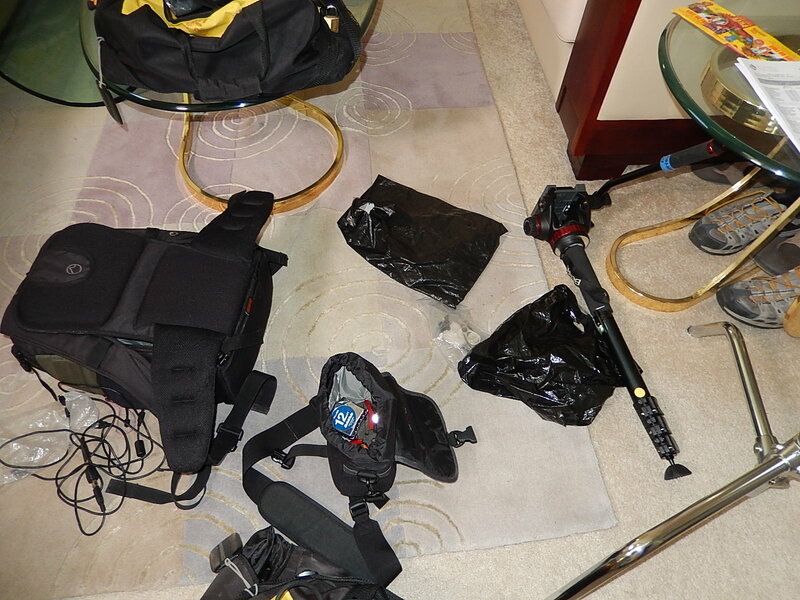 My atrium definitely needs to be cleaned up-soon…. Thanks Peter Beer, and also Jose ! at Trey Audio in North Hollywood, CA for your help today…. I ‘m getting started with this new DAR and plan to integrate it with my Zoom H4N recorder for ENG and especially EFP projects. I already know I like several features of this DR-60D: the slate function which should make sync of reference audio to the cameras and recorded primary audio really easy, and the quality of its pre-amps. This translates into very clean, high-signal audio and I was able to immediately notice it when testing with my Rode NTG-2’s at Trey’s office today. 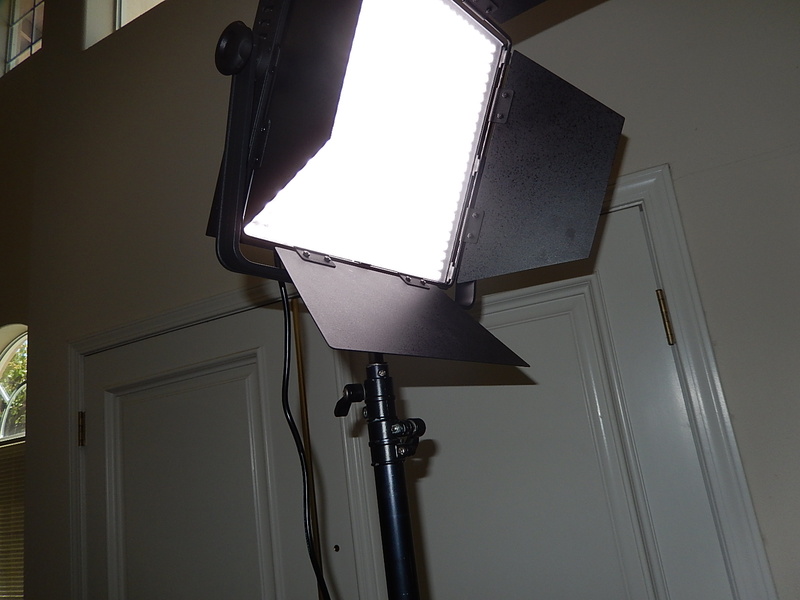 These will let me light on location using a V-mount Li ion battery as well as the usual studio setup, as shown here. 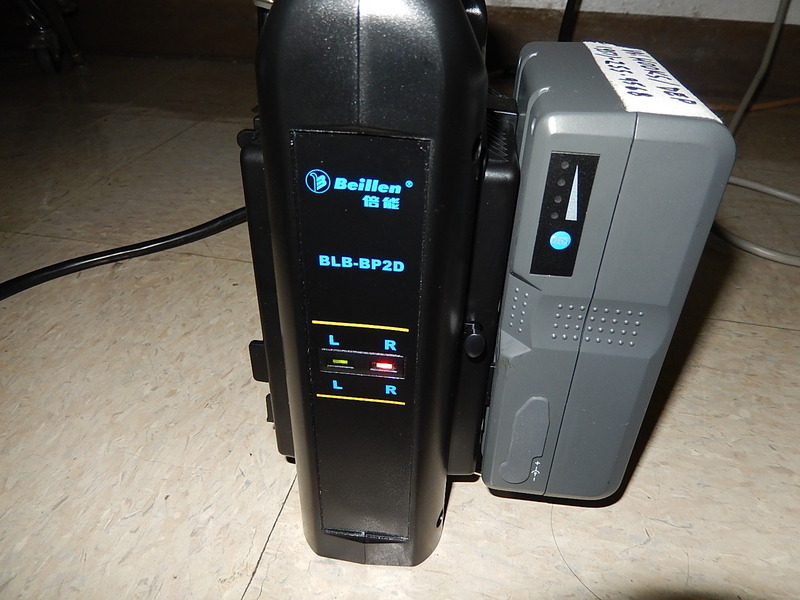 I included illustration of the charger for the battery… this system gives reliable power for an all-day shoot whether to the lights or audio recorder for example. 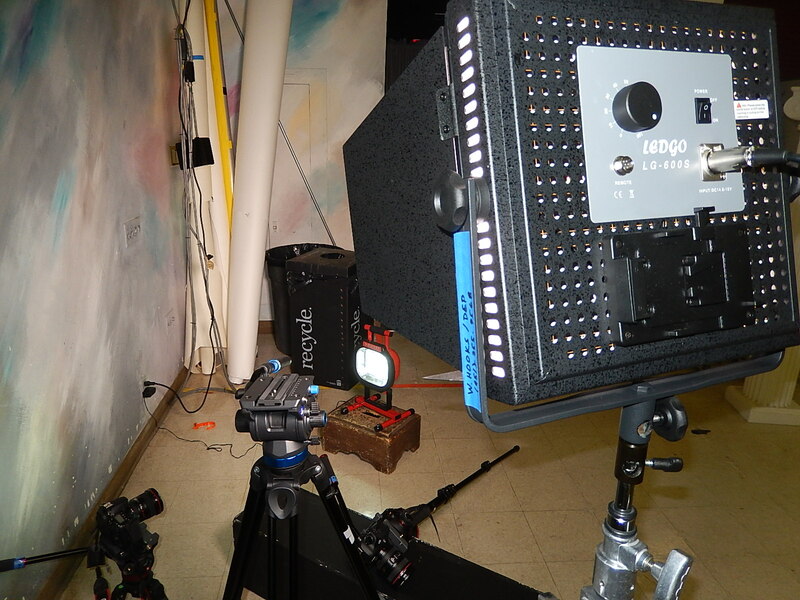 The 300 watt Husky LED panel runs only on wall power. 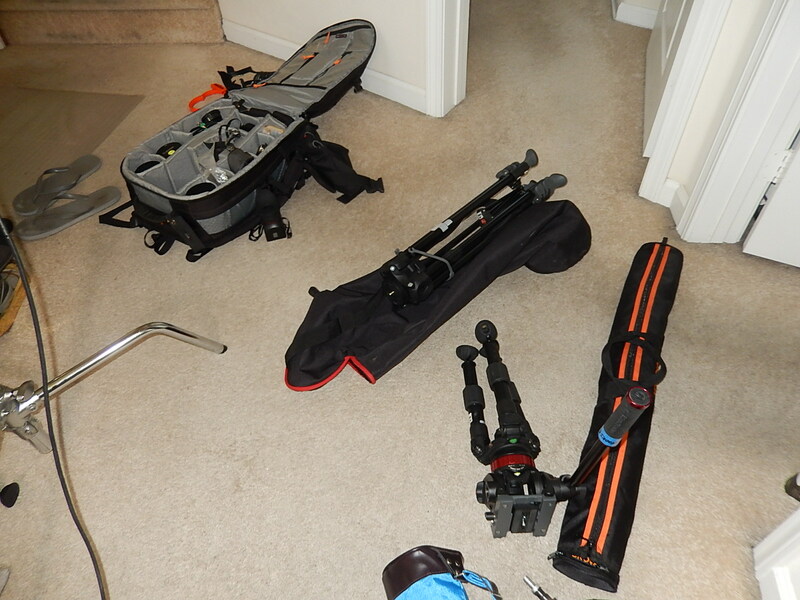 The S8 head carries up to 22 pound payloads, somewhat more than my Manfrotto heads. I like the included bubble -level light for low-light leveling of this head. 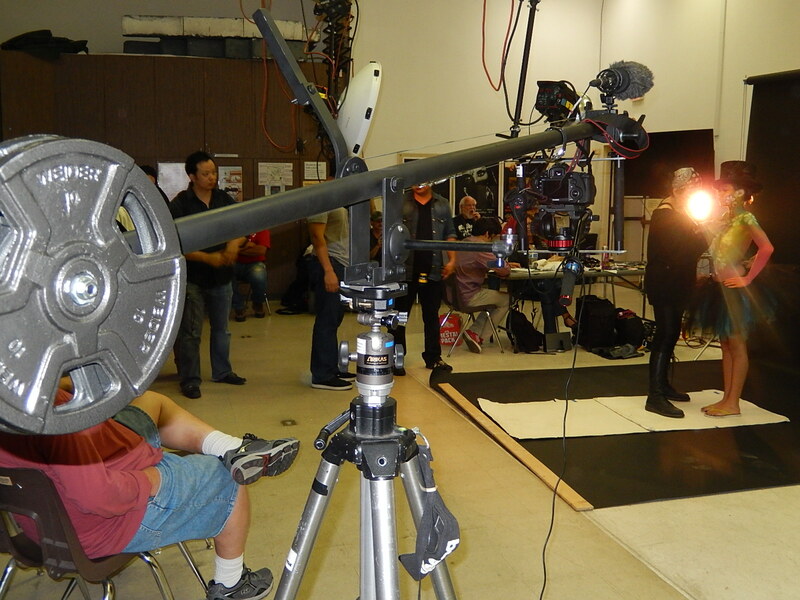 This is my default jib setup, with a floor dolly and my custom camera cage attached for versatility. 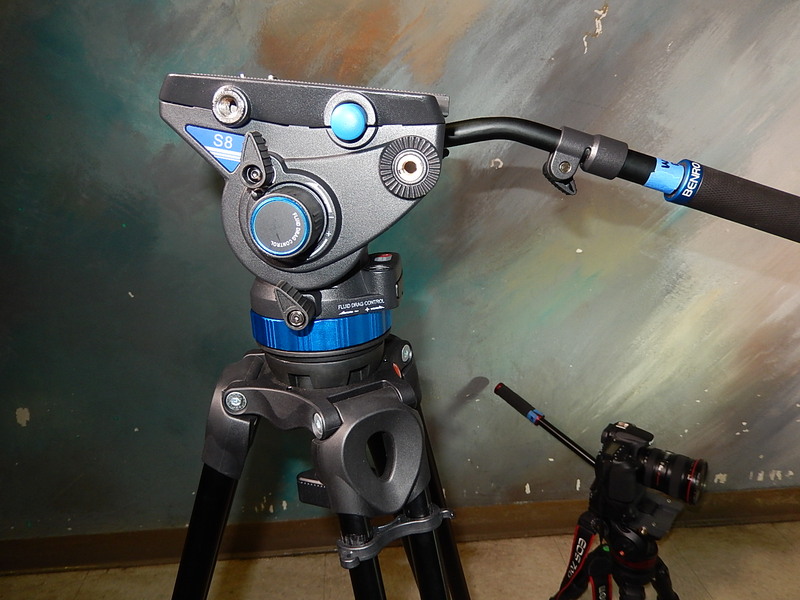 These enable easy repositioning of the setup and front use of the jib for precise motion control when I don’t want to be at the rear station- it’s quick and smooth. 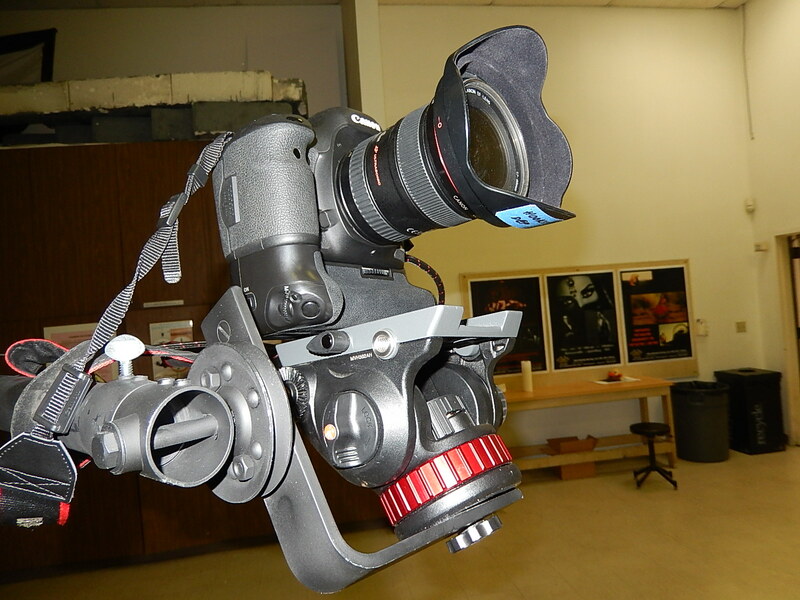 I can use the camera’s monitor as in this example or attach an external one. 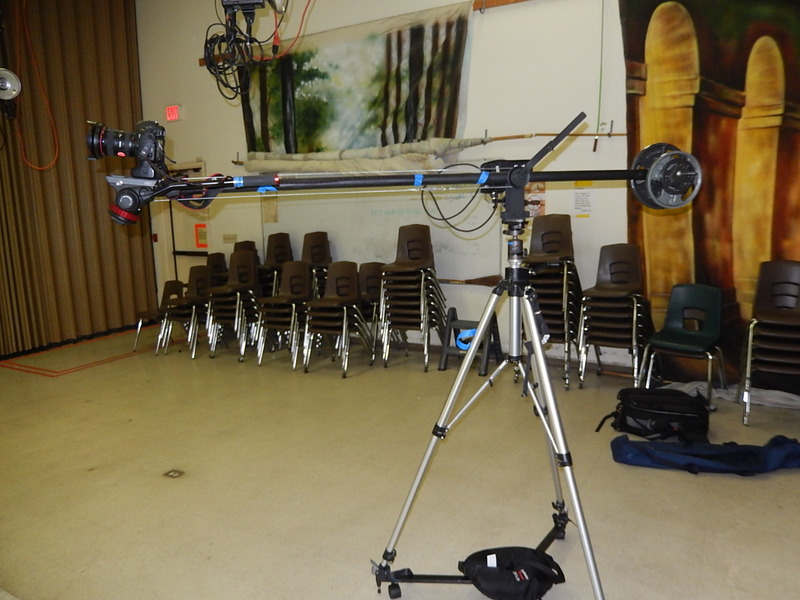 A Mafer clamp holds the microphone array at the front -top of the jib,thanks Matthews! 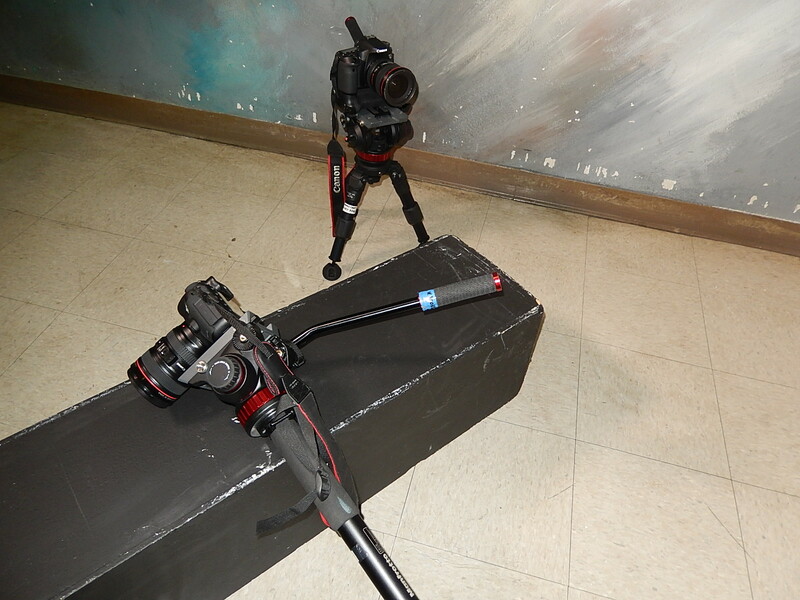 The Canon 5dIII barely fits into the cage when using the Manfrotto flat base fluid head (here)… the fit’s better with the 70D, allowing additional camera moves from the head while employing the jib’s separate motions. 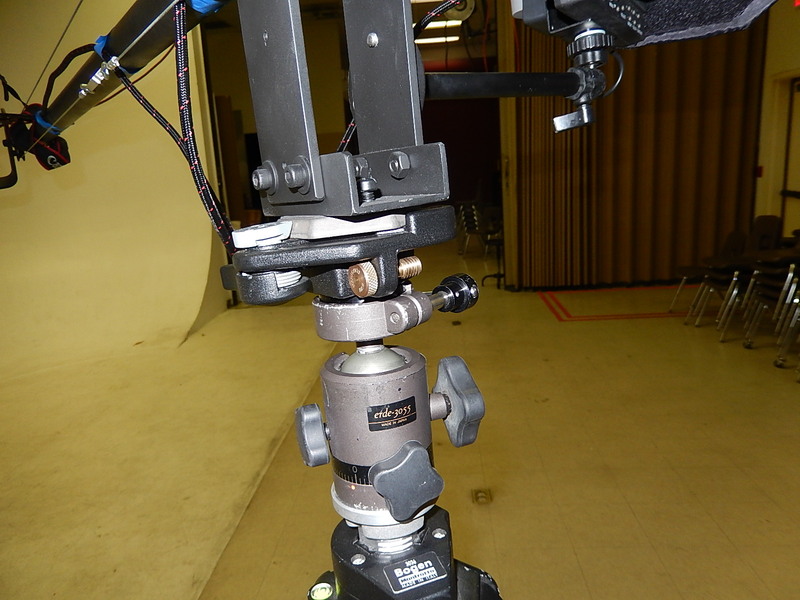 I’m using a Manfrotto flat-base fluid head as the default to mount cameras on the jib. 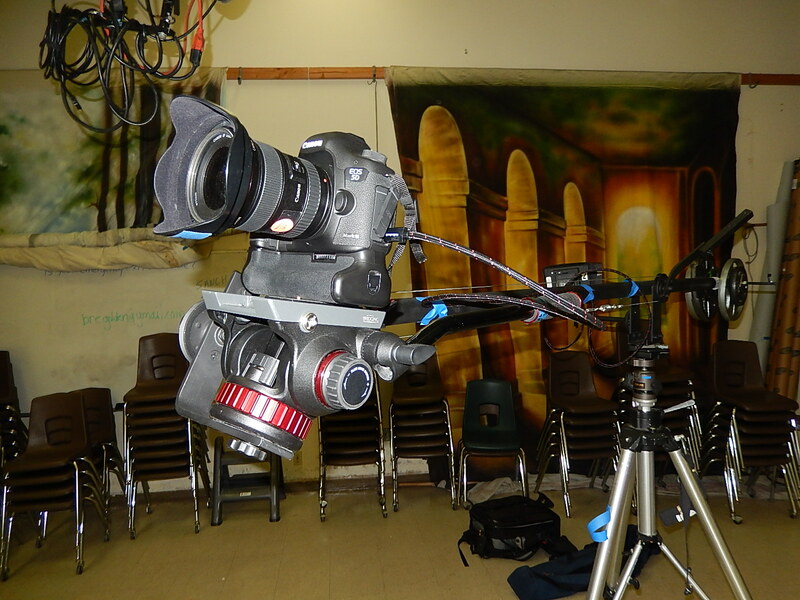 To shoot simultaneously with 2 cameras, I use a Manfrotto dual camera arm. 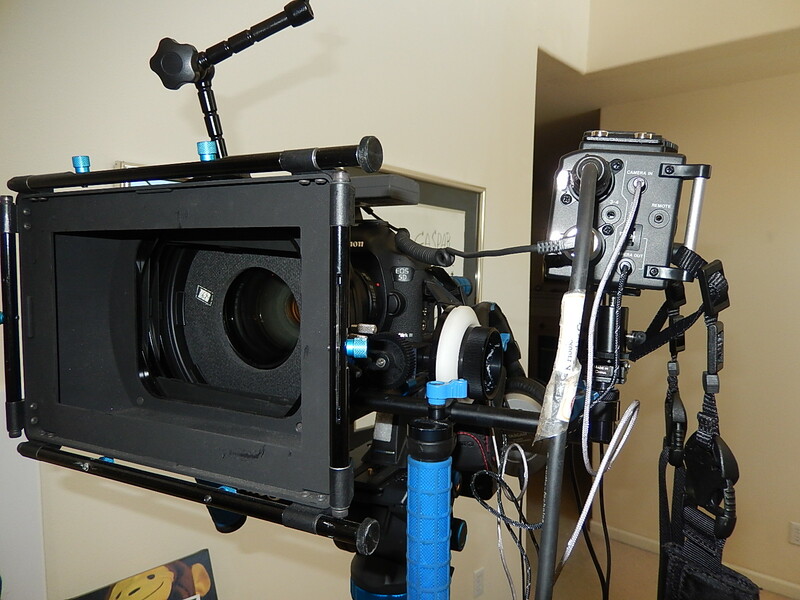 For focus, the Manfrotto DSLR remote controller works well esp with the wonderful AF system on the Canon 70D…5″ HDMI monitor is used for display and exposure estimation for the operator at the counterweight position, also using a lever to move the camera perpendicular to the long axis of the jib if needed. 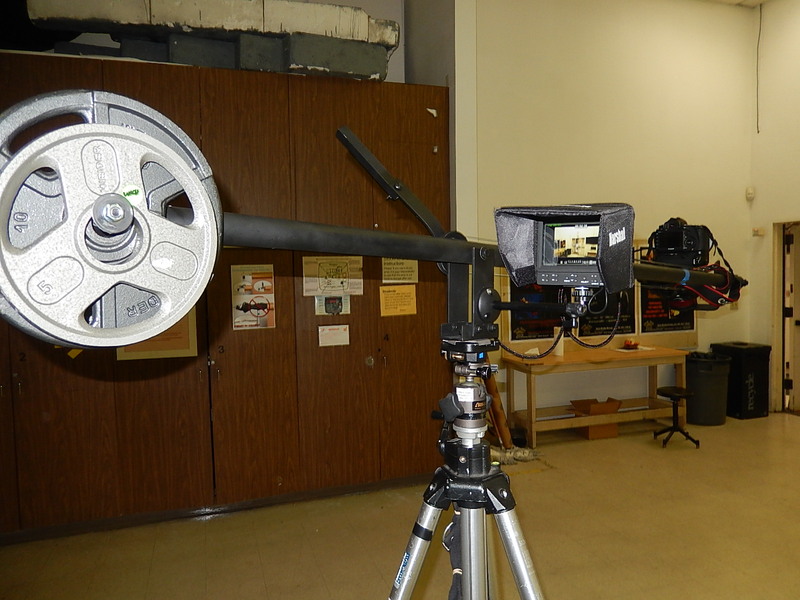 A 25 pound donut sandbag stabilized the tripod, attached to an Arukas ball head and then Manfrotto hexagonal camera plate system integral to the jib mount. With a 5D3 and 17-40mm f/4 I find that about 15 pounds on the right and 7.5 on the left arm of the counterweight bolt work well.